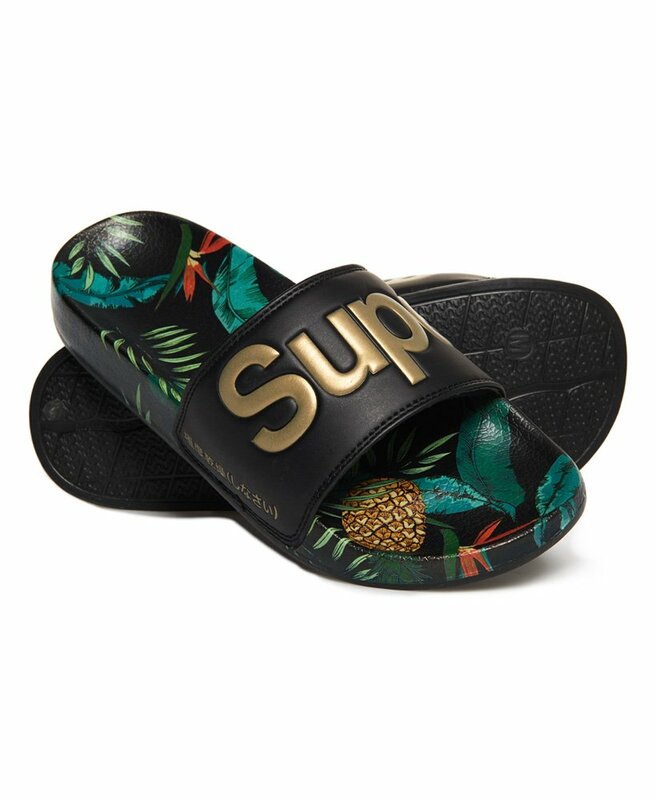 Superdry women's Superdry Beach sliders. Slide into holiday mode with these sliders, featuring a wide front padded strap and moulded sole for your comfort. Finished with an embossed Superdry logo on the strap and a rubber Superdry logo on the sole.